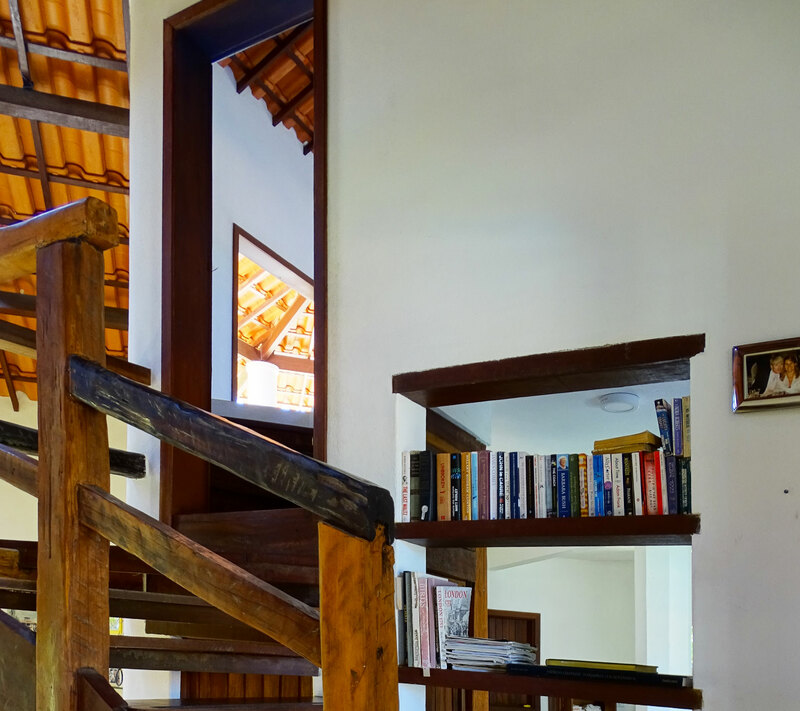 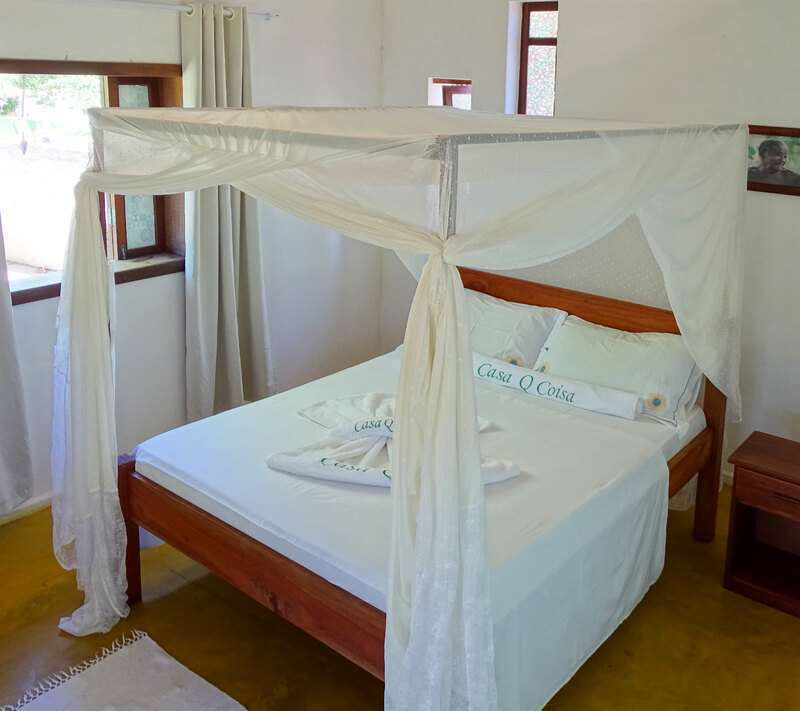 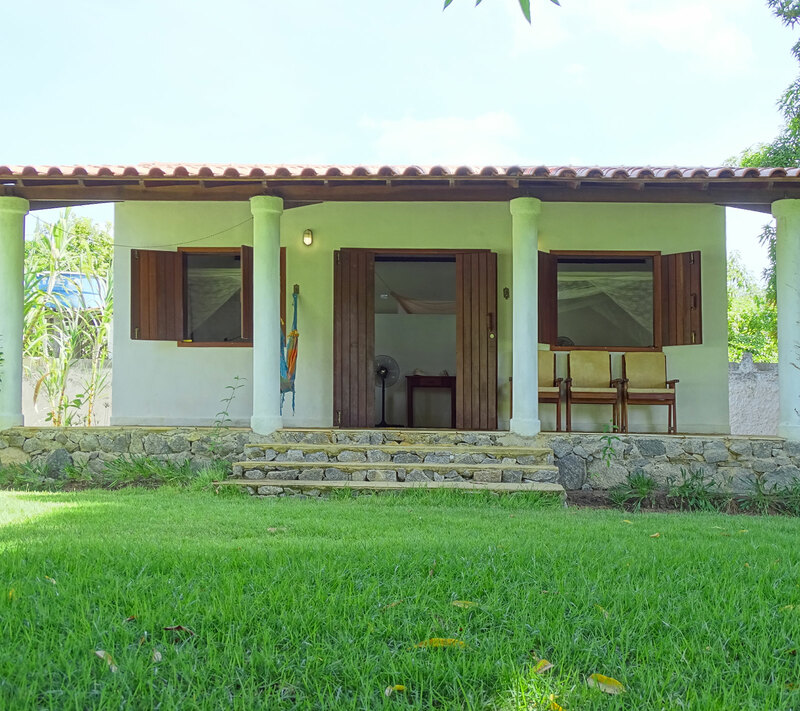 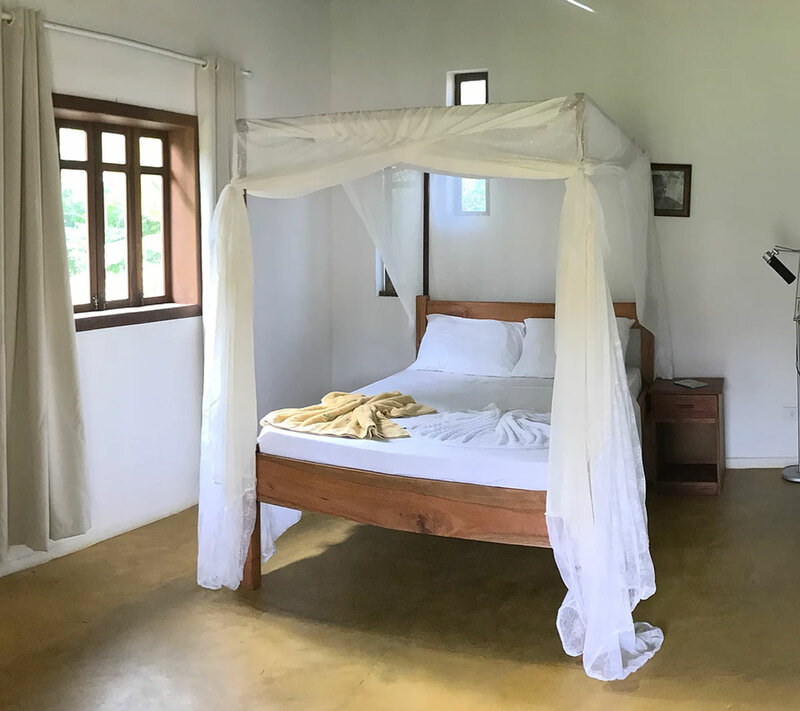 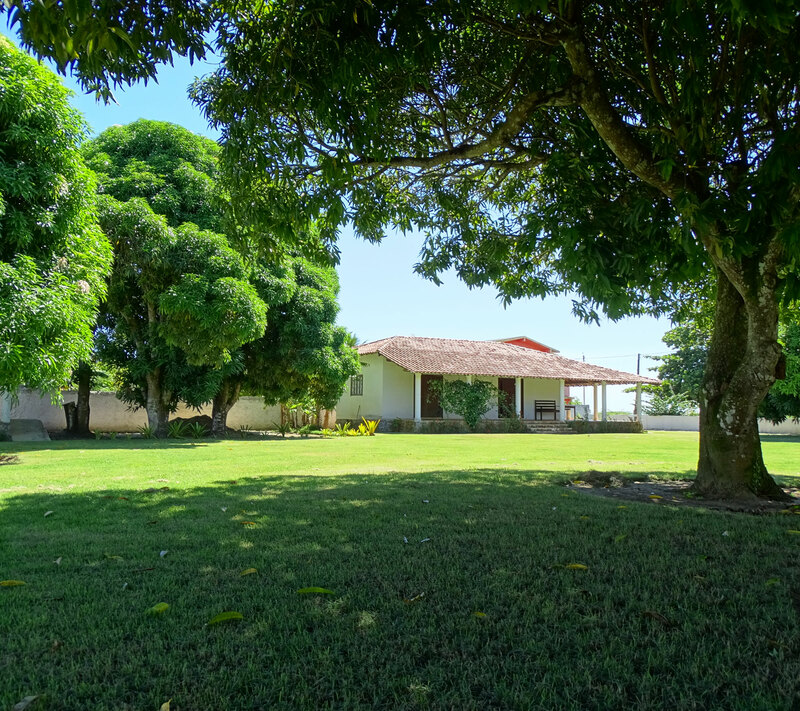 Our accomodation in Cumuru is at Casa Q Coisa: a three-bedroom villa with an additional two separate chalets giving in total 6 on suite double rooms. 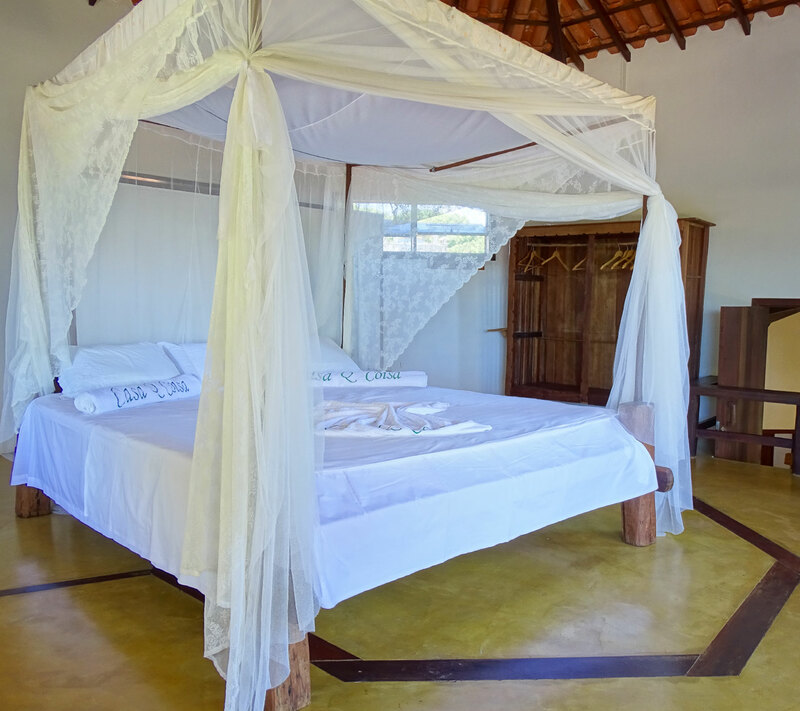 Master Suite, an interesting octagonal room with high ceiling. 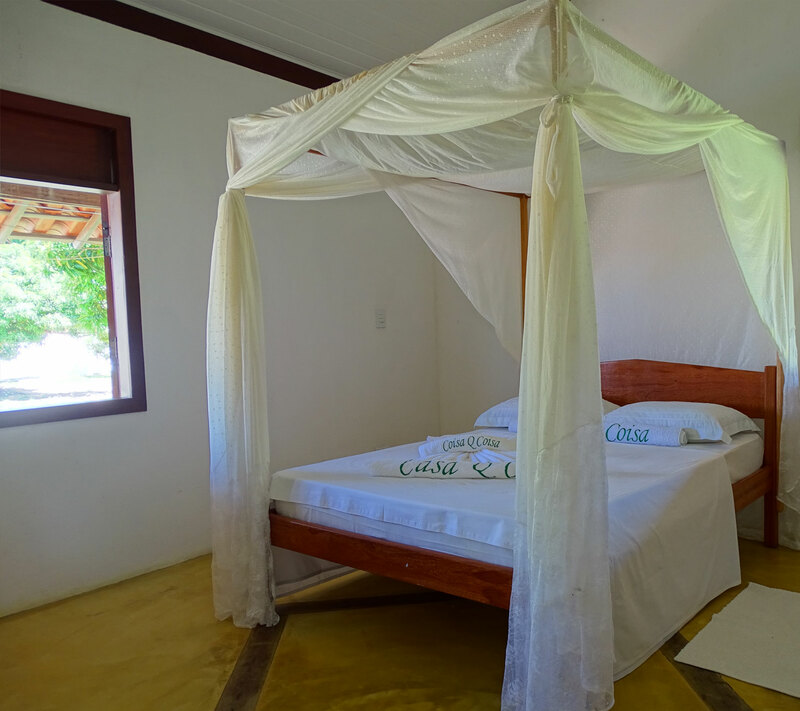 It's on the First floor of the main house.The bed measures 2 metres by 2 .20metres, a proper King Size. 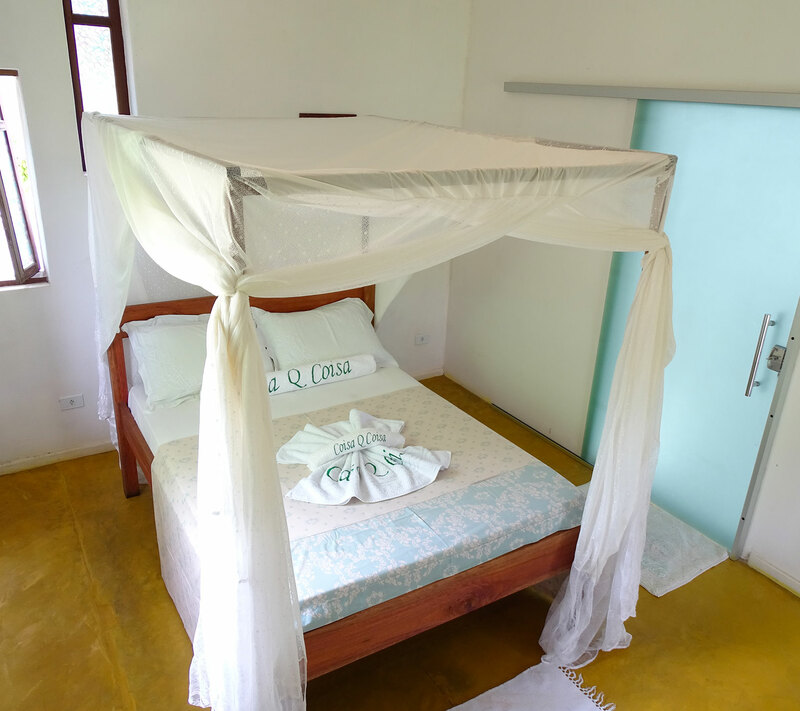 It has a decent on suite shower with views of the sea while you shower.This room has its own generous Varanda with views of the sea, and space for hammocks. 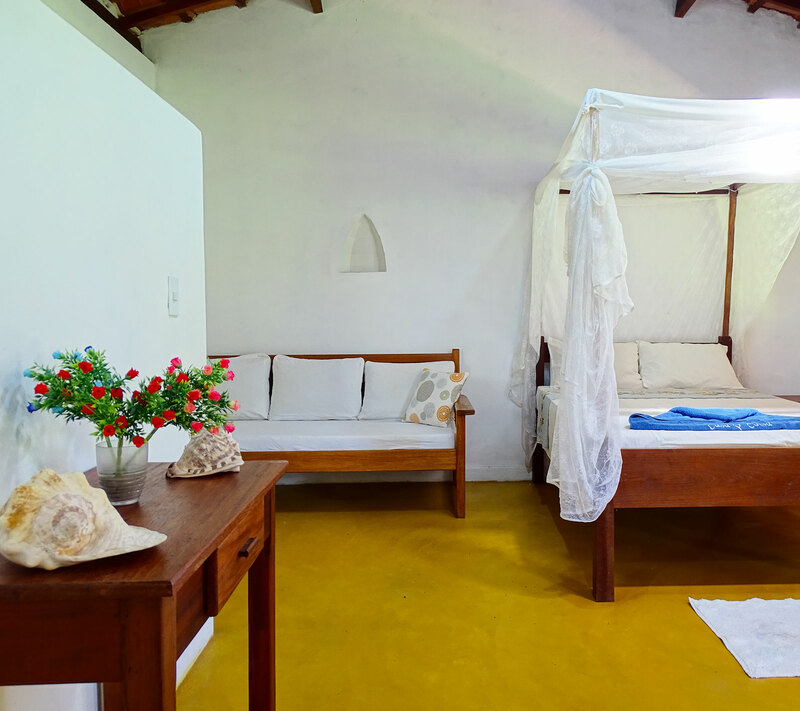 It's a very private accommodation. 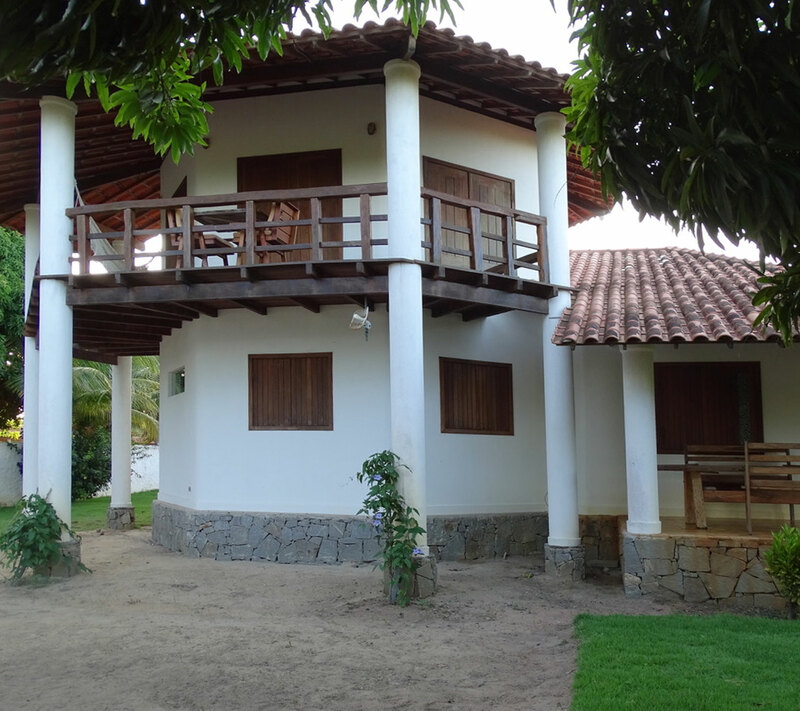 Is a generous high ceilinged chalet with onsuite and varandas. 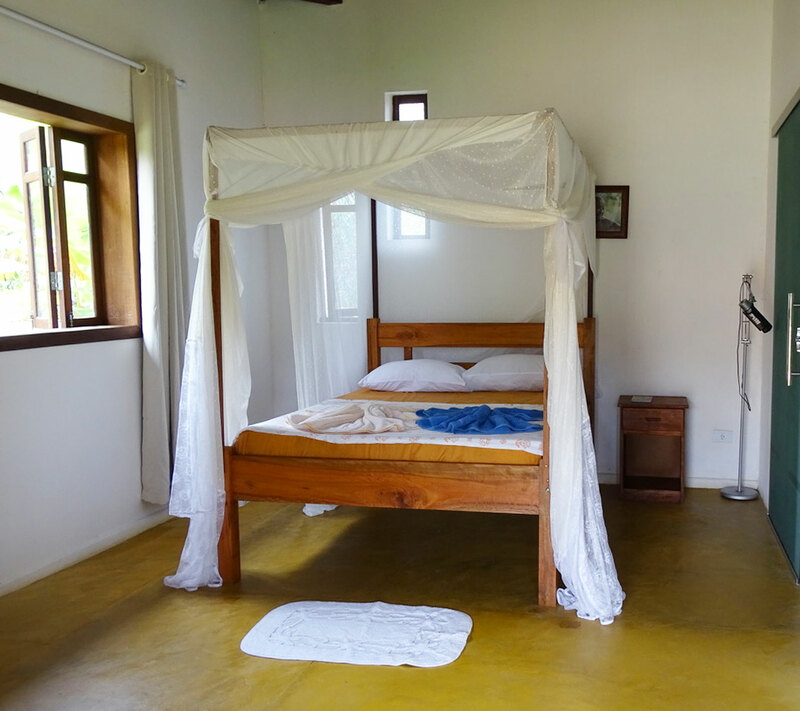 It has space for 2 good sized double beds and is often used by friends to share. 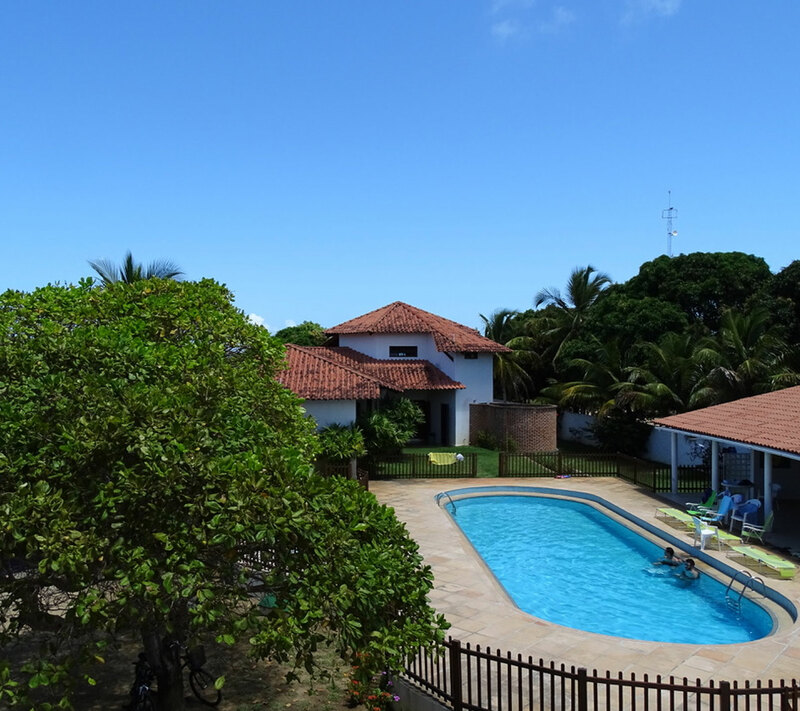 This is another generous double bedroom on suite with pool and garden viewsIts air conditioned. 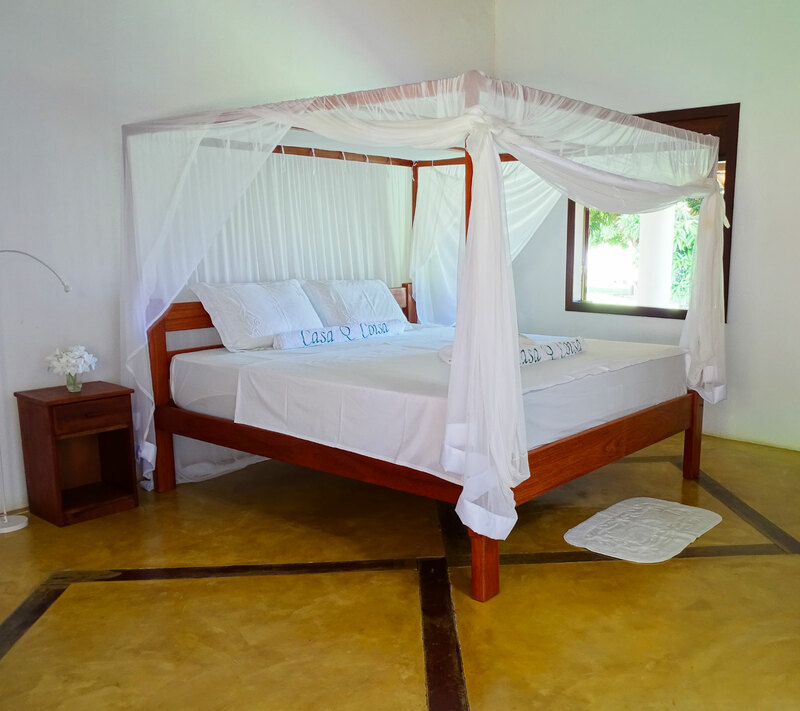 Within the main house, just off the main room, another private double suite with garden views and high ceilings. 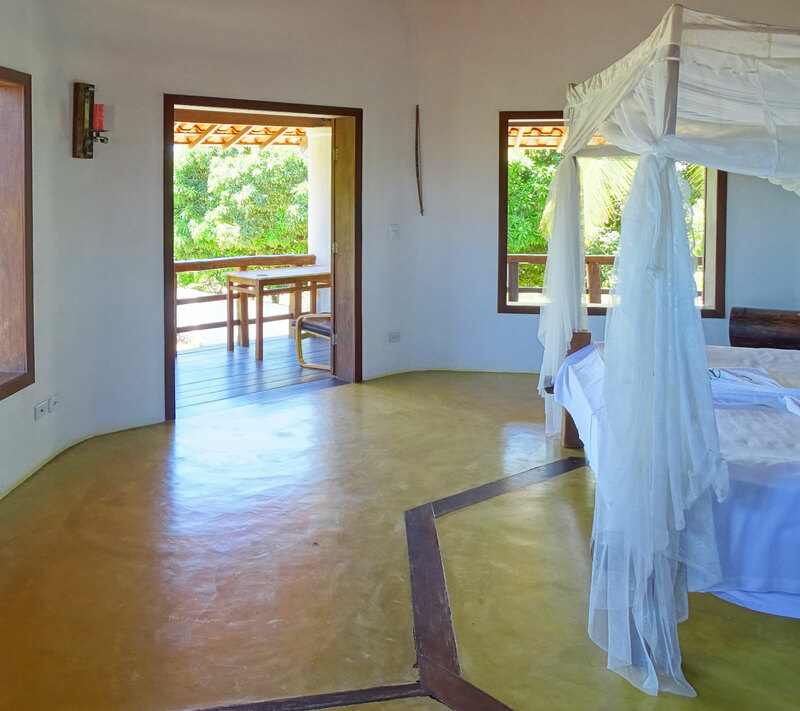 Again this suite offers great privacy. 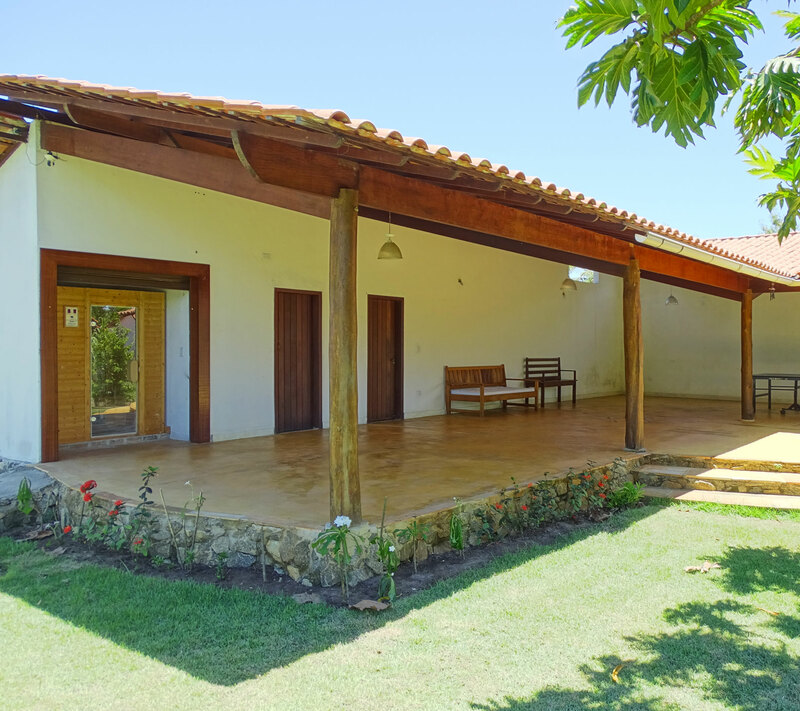 Area for Yoga, Table Tennis and Infra Red Sauna…. 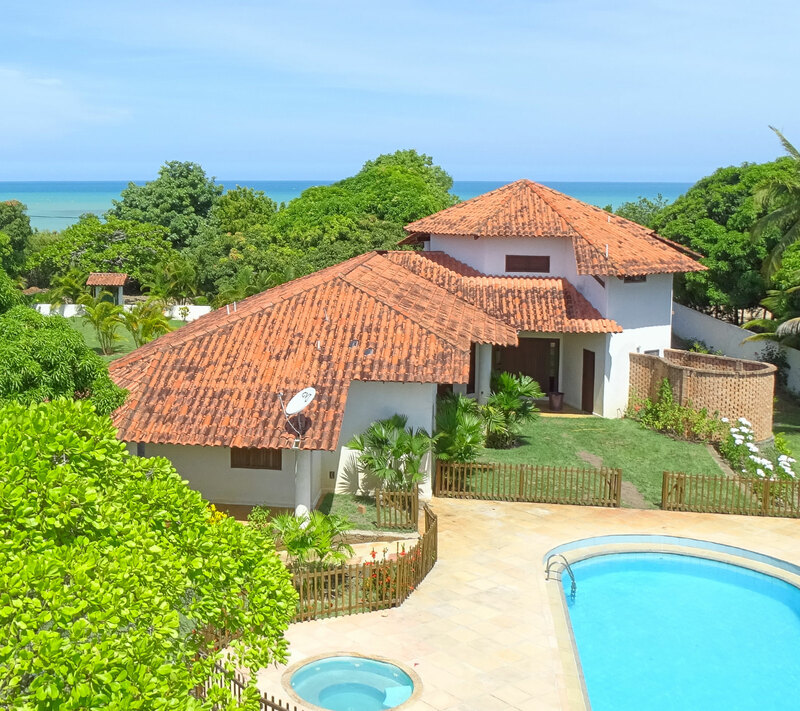 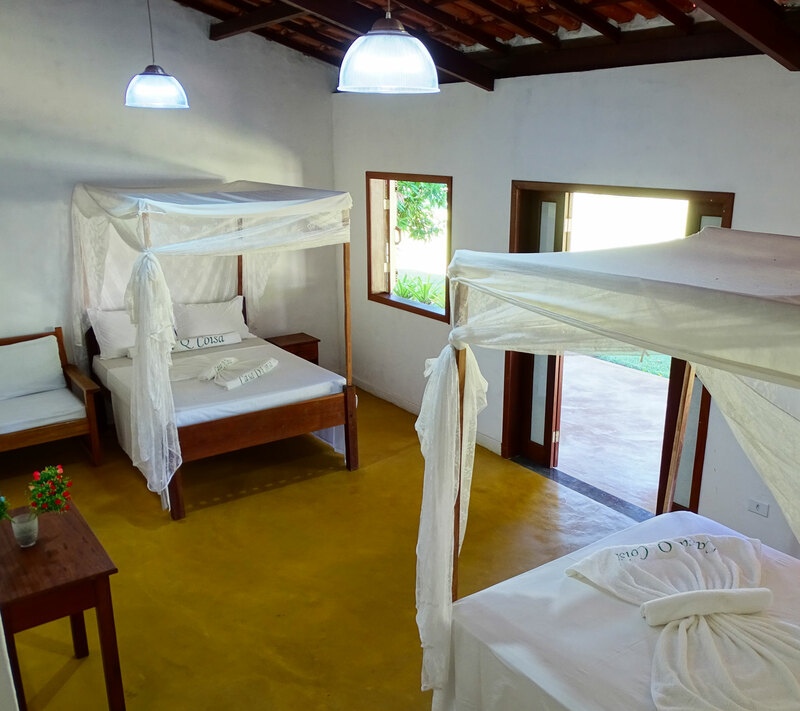 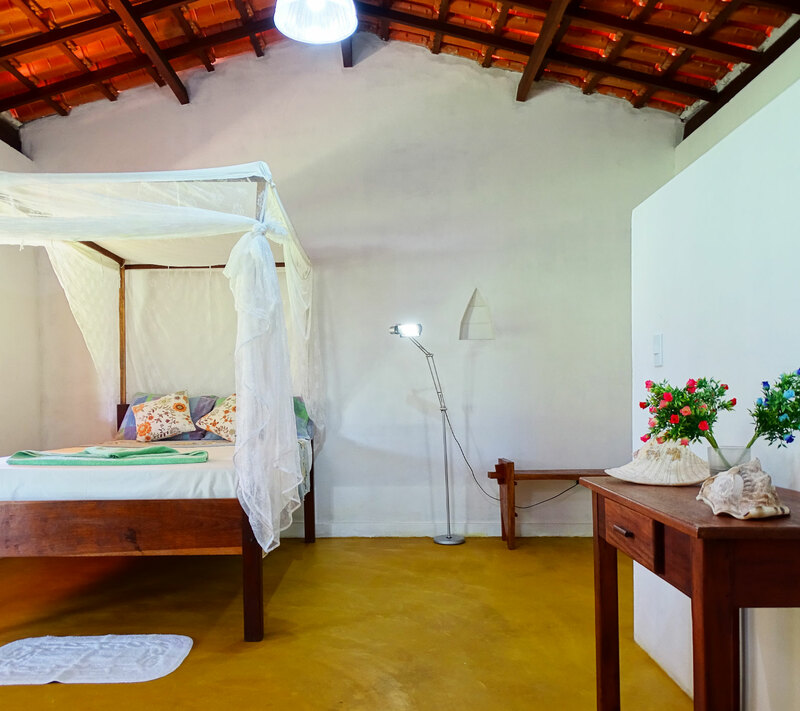 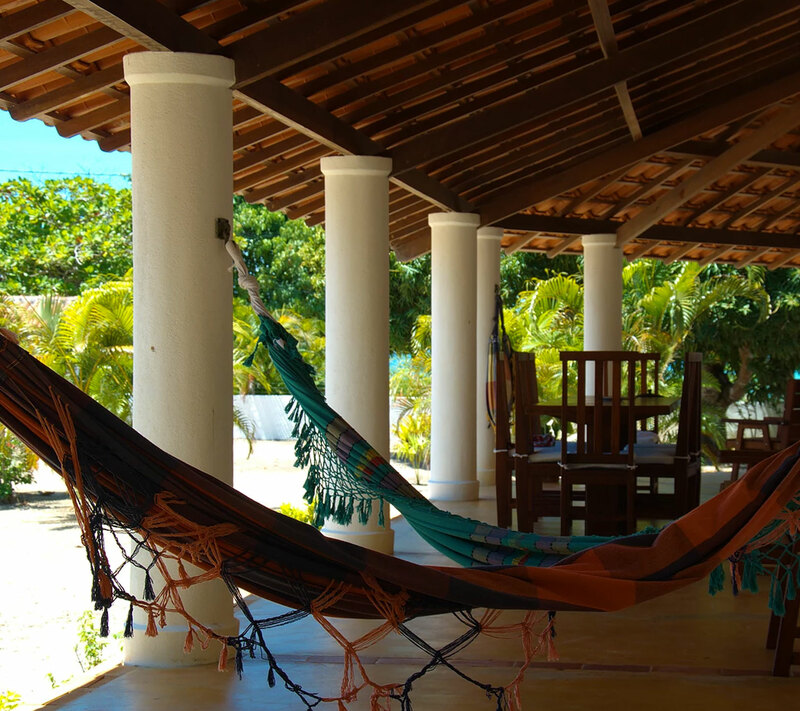 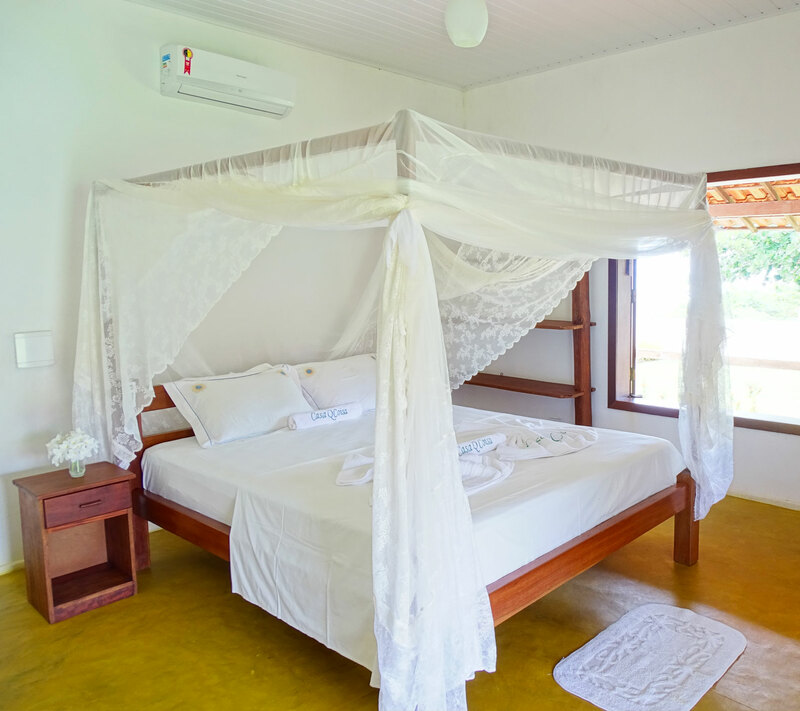 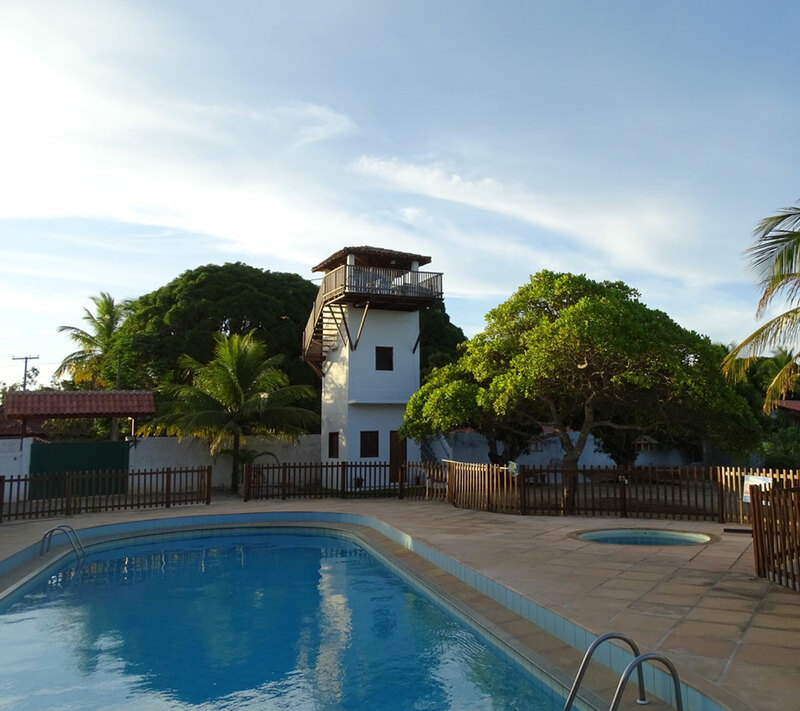 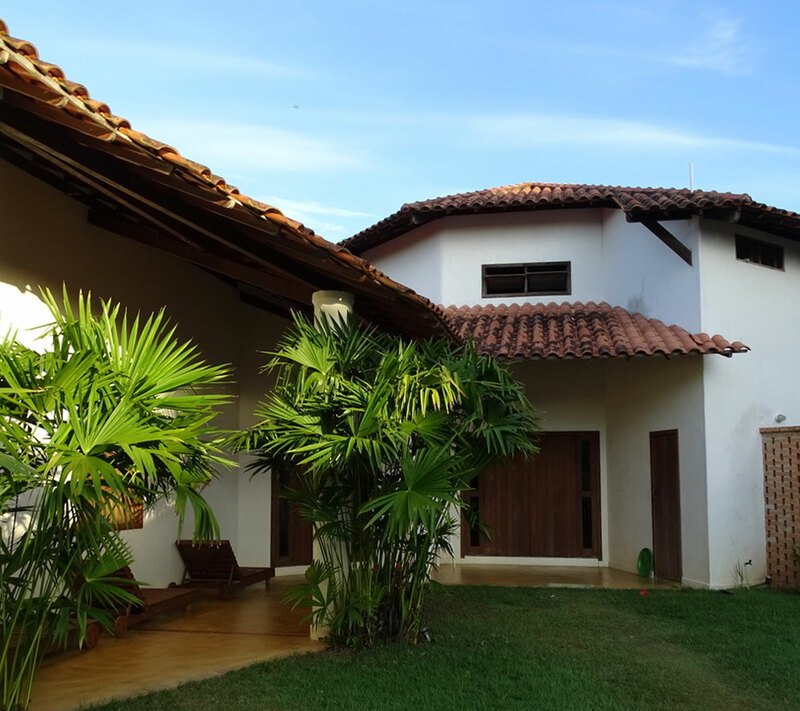 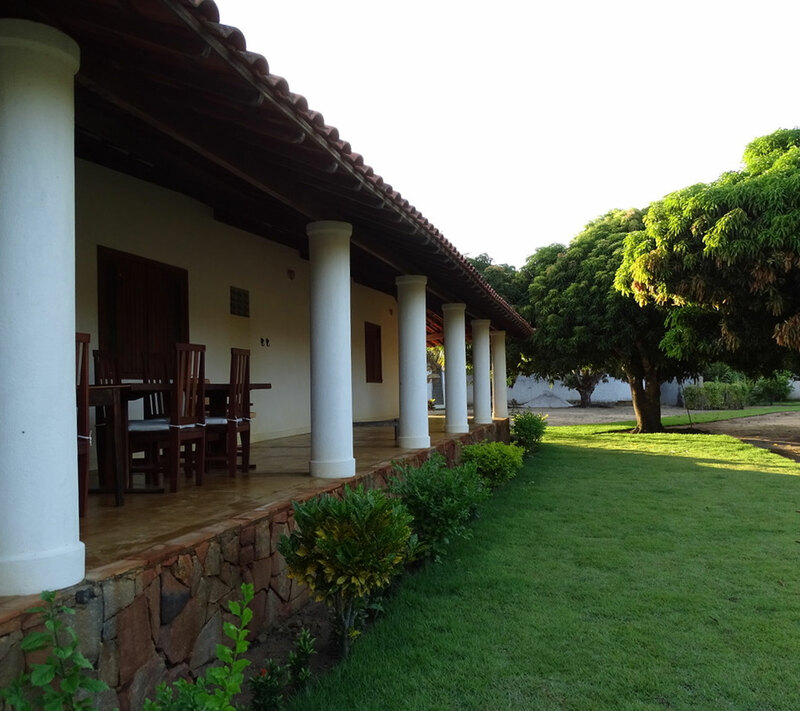 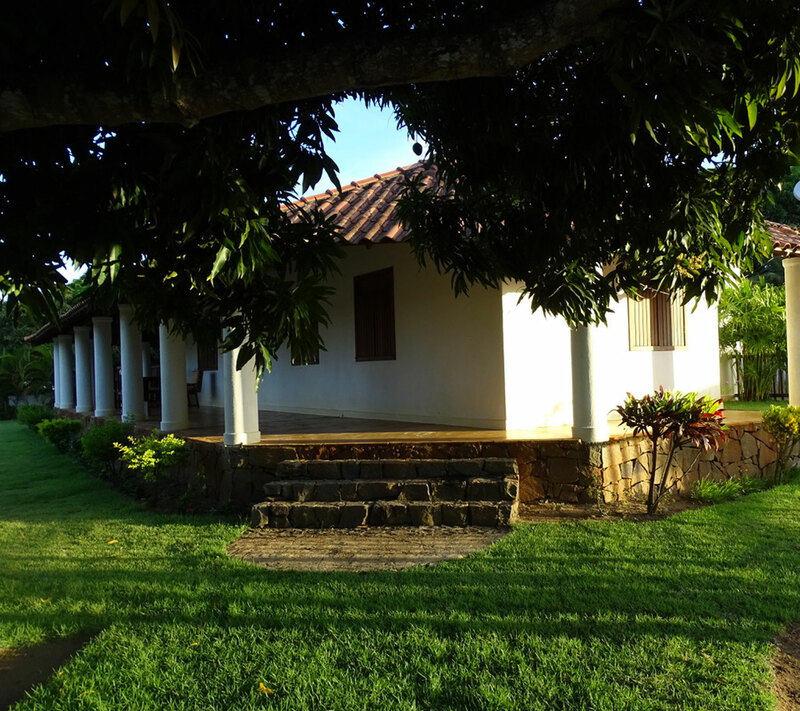 Join us in tropical Cumuruxatiba, Bahia, Brazil for your next Healthcation…….